The thing about parenting, is that there are just so many ways to do it. There are parents who are cautious about their kids, and others who let them climb trees as high as they’d like. There are Moms who are totally adamant about getting “the shot” of their little ones, and others who don’t really care what I capture… so long as it looks nice. There are Dads who are goofy and have no problem hopping around like kangaroos, and there are also fathers who have no time for tomfoolery during a photo session. Either that or they were just tired during the session and not in the mood to be Mr. Aloha, which I completely understand, fellow Dad. I just became a Dad 7 months ago, and most days I teeter between delirious joy and tired grumpiness. Anyway, I feel as if basically all parents wear all of these parenting hats at least once in the day, and sometimes two or three at once. One of the things that I love about my work is that it gives me the opportunity to meet and hang out with a lot of different parents, and a lot of grandparents too. That’s a huge number of hats. And if there’s something I’ve observed during my sessions, it’s that we’re all pretty much the same — none of us have any real idea of what we’re doing, all of us are trying our best, and for the most part, we’re all pretty darned good parents! We all do things differently, sure. We do things our way, what works for us. But it does seem to work. Heck, we work. We work hard at being parents! And I like to think our kids — my daughter, although she is pretty young still — appreciate it even though they often might not jump for joy about it. It’s their tiny smiles, bursts of laughter and even grouchy cry faces that show how much they care… how much they need us. Knowing that is enough of a jump for joy for me! Even just a serene, peaceful evening in a beautiful place, together with one another, is cause for celebration. 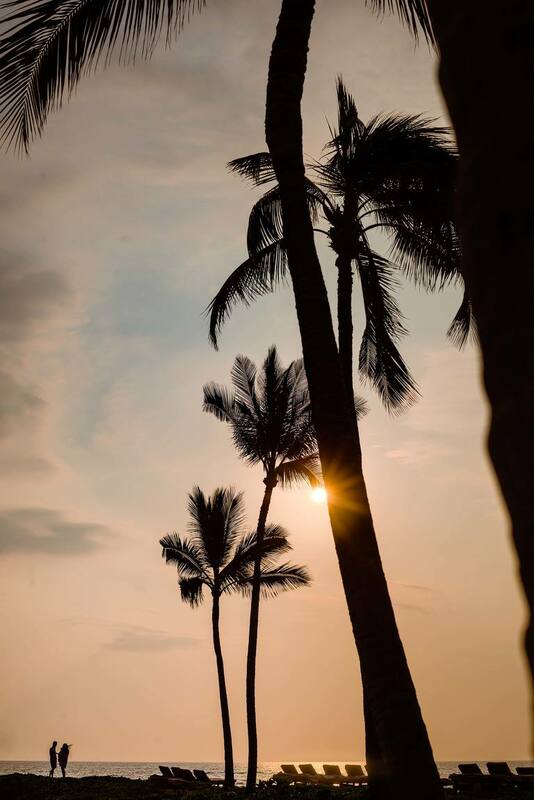 And I feel as if that’s exactly what the Ho family had, during their session at the Four Seasons Hualalai. 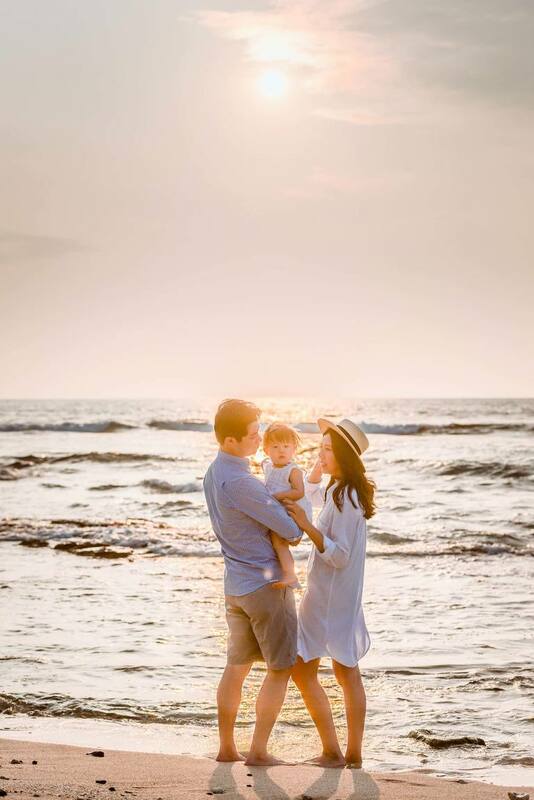 Their little girl was adorable (if a bit tired for the session) and we had a great time walking the beach, exploring and enjoying the setting Hawaiian sun.